Human cloning… not such a good idea. I’m not completely saying no to it, but I do not feel the need for human cloning. The thought is fascinating and scientists can study cloning but to an extent. 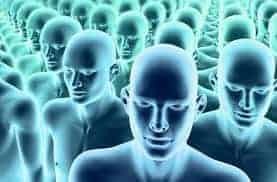 We have to consider those around us because society is not ready, not accepting human cloning. Shortly after “Dolly” a sheep that had been cloned successfully, controversies arose about the possibility of cloning humans. But all hopes were cut short. In 1997, Bill Clinton’s letter to Congress: Cloning Prohibition Act addresses, “The Commission concluded that at this time ‘it is morally unacceptable for anyone in the public or private sector, whether in a research or clinical setting, to attempt to create a child using somatic cell nuclear transfer cloning. '” Though it did not stop people from cloning for other purposes beside humans, it claims that it is not morally accepted. Studies should be conducted and cloning is something that should be know about. However, cloning is not necessary, sure someone would want to get a clone of someone who passes away, but they would have the Genet footprint, not the that persons same thoughts or experiences. “Cult Boasts: We’ll Clone Couple’s Dead Daughter” by Bill Hoffmann writes, “The tot’s parents, identified only as an American couple, have paid the oddball Rael cult $500,000 to clone their daughter, who perished in what they describe as ‘a medical accident. '” The wealthy are capable of having these opportunities because they have money and are willing to spend it. These possibilities are not seen for the lower or middle class. Another point would be to give women who cannot bear children, the chance to actually have one. Yet it would look exactly like only one of the parents, because it is as if only a single parent’s DNA is being used. To add on to the troubles in the article “10 Reasons Why Human Cloning is Bad for Society at Large” by Deeksha Rawat she claims, “If human cloning is carried out, it may well lead to uncontrolled results, abnormal development, genetic damage, malformation and diseases in the clone. Even if cloning is successful, the life of the clone will probably be a drastic one with a much shorter span.” This demonstrated the negative outcomes of cloning being unsuccessful. If something goes majorly wrong, how do we know that it can be stopped or controlled. She also brings up another really important point of “mocking the role of God.” People have strong beliefs and that should not be taken away, it is their hope, even if others don’t believe in it. Society will view scientists as trying to be gods with human cloning. Scientists should be able to study cloning, as for it relating to humans it should be only to learn and not really impact society. It should be on the scientists own money (because cloning is very expensive) and have regulations/oversight in order to not let them overstep their bounds. Human cloning will only be seen as a negative thing if no new claims or pros are coming from people supporting human cloning. In all, I believe human cloning should be an option to scientists as long as they are being looked over and if not, to not have cloning because it will only harm society, and there is no need to it. It is perhaps in a distant future but as for now, let us not burden society more. Clinton, Bill. “President’s Letter to Congress: Cloning Prohibiton Act.” Cloning Prohibiton Act. N.p., n.d. Web. 02 June 2017. Hoffmann, Bill. “CULT BOASTS: WE’LL CLONE COUPLE’S DEAD DAUGHTER.” New York Post. New York Post, 12 Oct. 2000. Web. 02 June 2017. Rawat, Deeksha. “10 Reasons Why Human Cloning Is Bad for Society at Large.” Listontap. Listontap, 29 May 2017. Web. 02 June 2017. Stance on Human Cloning by Mireya is licensed under a Creative Commons Attribution-ShareAlike 4.0 International License.